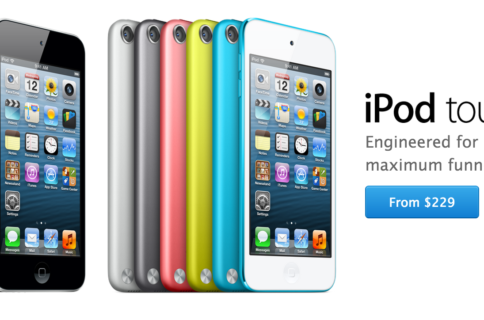 The fifth-generation iPod touch was unveiled in October 2012 with the Apple-designed 32-bit A5 processor. In June 2014, the device received a minor update as Apple dropped the 32/64GB models to $249/$299 and introduced a new $199 16GB model. Hidden assets in iTunes 12.2 suggest a refresh to the iPod lineup may be around the corner. 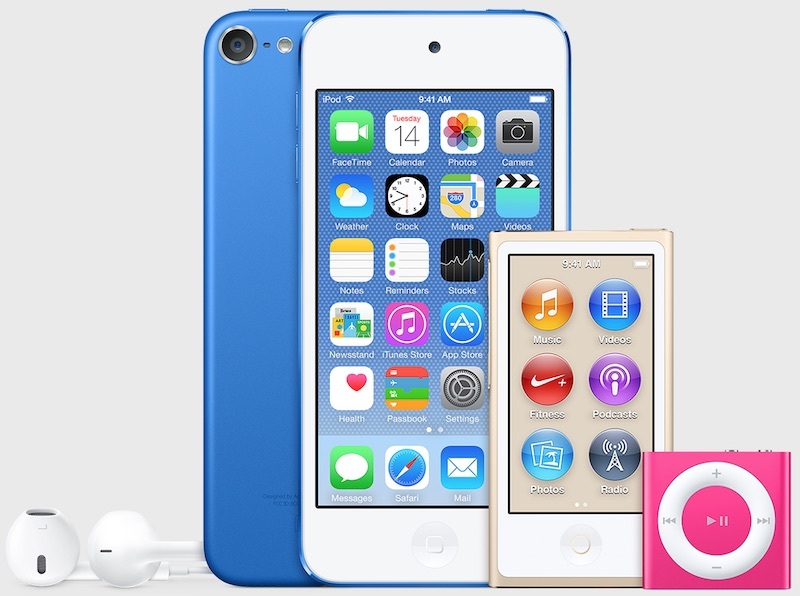 When setting up or restoring an iPod in iTunes 12.2, the user is greeted with a new splash image, shown top of post and further below, which depicts the iPod family in previously unseen colors: gold, dark blue and bright pink. Interestingly, the Calendar app on the iPod touch shows the Tuesday 14 date, but it’s unclear whether Apple is just trolling us or if that’s the actual launch date. The $49 iPod shuffle was last updated nearly two years ago. 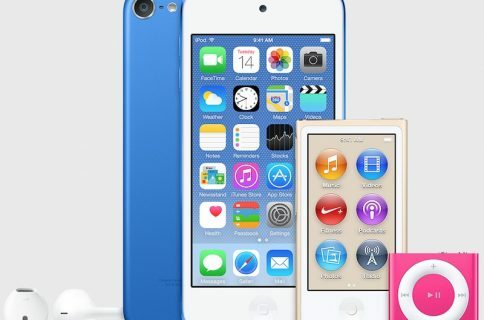 As for the iPod nano, the device saw its last significant hardware refresh in September 2012, with a minor September 2013 update replacing the previous Slate color option with a new Space Gray colorway. Do you still care about the iPod?